If the show gets the green light, Charlie would earn a reputed $5 million per episode, however, HBO are yet to validate his claims. The hellraising star – who has been receiving home rehab treatment for alcohol and drug abuse – has also revealed he intends to show up for work on ‘Two and a Half Men’, despite the decision to halt production by CBS. In a text message to ABC show 'Good Morning America’, Charlie – who is currently on vacation in the Bahamas - insisted he is “100 per cent” sober and is planning to head to the set next week. He also branded the decision to cancel the remaining episodes as “crazy” and “sad." CBS made the decision to axe ‘Two and a Half Men’ after Charlie – who has been on hiatus because of his drink and drug problems - gave a radio interview in which he dared them to stop the show and branded Chuck a “turd." 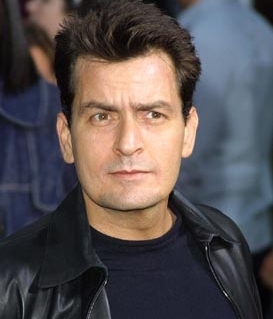 In a statement, Warner Bros. Television and broadcaster CBS said: "Based on the totality of Charlie Sheen's statements, conduct and condition, CBS and Warner Bros. Television have decided to discontinue production on 'Two and a Half Men' for the remainder of the season." Charlie then hit back in an open letter in which he continued to insult Chuck and also referred to his by his Hebrew name – leading to accusations of anti-Semitism.